Worst case scenario: Your texture is damaged, your sheetrock is damaged and you need to repair both. You first need to decide if you need to remove and replace any sheetrock. If the sheetrock is bowed or sagging, that problem can only be remedied with sheetrock replacement. Call a contractor, this process will not be explained below. However, if you have a few holes in your ceiling fist sized or smaller, or the texture is falling off? No problem, read on! First remove any loose texture with a metal putty knife (1.5” – 6”) blades usually work best depending upon the amount of damage and how tight the texture is. The goal here is to remove loose, soft and or damaged texture until you find tighter or sound texture. When we say remove we mean that the ceiling will be smooth underneath the texture. The damaged area will still be dusty or chalky but all the bumps will be gone. The difficulty here is again due to lack of a primer under the texture and/or no paint on top of the existing texture. It’s hard to know when and where to stop the removal process. You will need to remove all the water damaged texture. If you just paint over damaged texture it may fall to the floor when you paint. This can even happen years later. Once you have removed the damaged texture you will need to bevel back the remaining sound texture at the edges of the damaged area. You can’t leave a line, edge or ridge at the joint where the texture is sound and the removed area. We use a stiff putty knife to remove the sound texture. Yes, you will now be removing the sound texture to create a beveled edge. This beveled edge must be at least 5” wide. The idea here is to remove all the texture at the joint and carefully remove less and less texture as you move away from the joint. (The joint is the spot where you stopped removing the damaged texture and the sound texture begins) You are trying to create a 5”-10” area that is beveled. As you move out and away from the joint you will be removing less and less texture. This beveled area is the key to hiding the damaged area. Patching Holes: Don’t patch until you prime the damaged area. Patching compounds will not stick well to dusty and/or chalky areas. The best primer for something like this is again a clear thin primer like Zinsser-Gardz Problem Surface Sealer from Abbott Paint & Carpet. Prime the entire area that you have worked on and allow to dry. When patching, if the hole is smaller than or slightly larger than a standard pencil then you can just use any type of spackle or patching compound. If the hole is the size of a quarter then Gravity will pull the patch out of the hole to some degree. Fill the hole first with something. That something will need to be tightly inserted and can’t stick out of the hole. That something (Joint tape, a piece of sheetrock, some foam spray etc.) must fit tightly to the sides of the hole. Then fill as stated above. Always use at least two coats of patching compound and allow to dry between coats. For larger holes use a metal mesh patch available at your local paint or hardware stores. Follow the directions on the label for application. Use at least 2 – 3 coats of joint compound to adhere the metal mesh patch. Okay! Damaged texture has been removed, beveled edge installed, damaged area primed, holes patched it’s time to texture. There are some aerosol textures on the market for small spots. Read the instructions carefully and be prepared to apply the product 2-3 times. You must allow the product to dry between coats. These aerosol texture cans may work very well for small spots. If you rent a texture machine you will also need a bag of texture, 99% of ceiling texture products are of a medium size (more than likely you will need medium). Follow the directions on the back of the texture bag. Talk to the people at the rental store. This is all trial and error stuff, be patient. There are three different variables at play when you apply texture. Airflow or the volume of air, the hole size in the texture gun and or the thickness or thinness of the texture itself. It’s a super messy process, start small and be prepared to wipe off the texture if it doesn’t look right. Try, try again don’t worry too much about messing it up you can always call Lake Area Painting & Decorating. If the damaged area is larger than a soccer ball? Call your local contractor, Lake Area Painting & Decorating or you can rent a texture machine. Or you can do all the work stated above then call Lake Area Painting & Decorating. If you succeed with the texture the texture is dry, everything looks great. Then look carefully for water stains. If you see them then deal with them as explained above using a spray can of spray primer Zinsser B-I-N or Kilz Original. Paint your ceiling as stated in a previous blog post or again call Lake Area Painting & Decorating Inc. Thank you for taking the time to read our blogs! If you have good insulation and good ventilation you won’t get frost damage or ice dams. Water damage is a serious issue that can cause thousands of dollars’ worth of damage. If you do see a stain on your ceiling, usually it’s a dark spot or grayer spot when it’s wet. When dry it’s that sickly dirty orange-yellow color and it may have some dark streaks mixed in. You will need to solve the immediate problem. 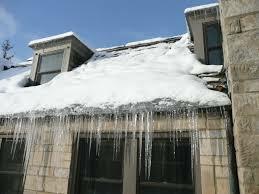 If you remove the snow and ice from your roof you will have solved the short term problem. If you decide to do this yourself, be careful! Ice and snow on a steep roof with a long drop to the ground..do the math! In addition to the dangers involved you can cause long term damage to your roof using a pickax and/or shovels. The simple solution is to remove the snow and then use salt and lots of it. Salt pucks or salt in a nylon sock or pantyhose seem to work well. In some cases you will not need to climb onto the roof, this will allow the water to drain safely. You can go online and find some of these products or you can hire a professional to steam or hot water blast away your ice dams. Ok, so now the problem won’t continue. The snow and ice are gone, but what about that ugly stain on your bright white ceiling? When you first notice the stain watch it like a hawk. The first question would be is the stain growing or getting larger? If it is not growing then it’s not an immediate problem. The stain can be as big as a dime and up to the size of a trash can lid without being a serious problem. The more serious problems happen when the stain starts to change in shape. Is the texture starting to droop, sag, fall off or crack etc.? Is water starting to drip or run off the ceiling? If so, it’s time to take more extreme action. Water is building up above the ceiling and if you don’t eliminate that excess water it will move into other areas of your home. You will need to drain away the excess water! Get a couple of buckets, a ladder or stool and take action. Find the nastiest looking spot and drive a screwdriver into the sheetrock or any hard pointy object will work. You may need a hammer to break through the sheetrock ceiling. Water will start to drip out of the hole you just made. Capture the water into the bucket. More holes are sometimes needed to remove the water. More holes will also allow the ceiling to dry out thus eliminating the potential for mold. The faster the ceiling dries out the less chance for mold. Get some fans and heaters pointed at the problem right away to further aid the drying process. In extreme cases make a larger hole, as large as your fist may be necessary to eliminate the water and dry out the ceiling. Once the water is gone, the ceiling is dry and spring is here it’s time to repair the ceiling. Check back soon for part two & three in our series on water damage/texture repair. 1) Can removing a popcorn-textured ceiling be done quickly and without creating a large mess? 2) And what are the options for a new look on my ceilings? get the job done in three days. More rooms will only require more manpower. Without a mess? Yes and no! a disaster. Think about all those tiny little bumps on your ceiling scattered across your floor. What are the options for a new look? 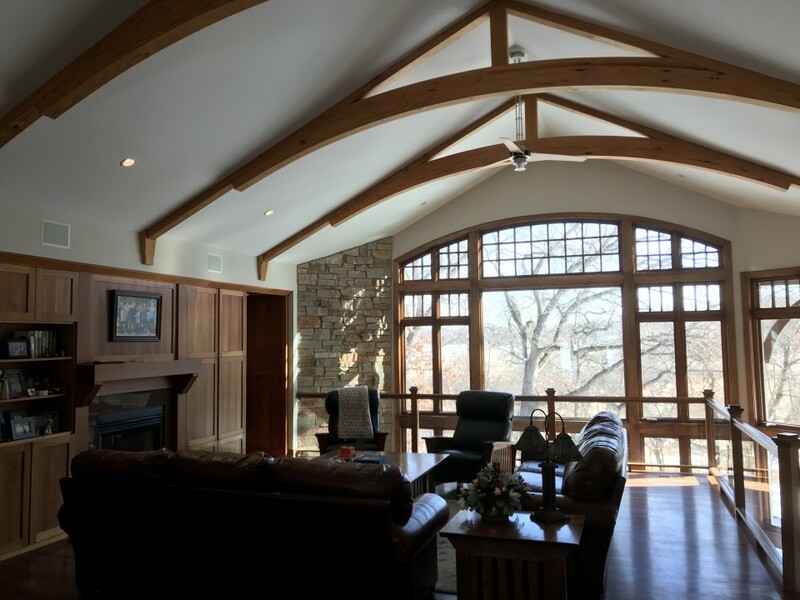 We invite you to call us at 651-429-1778 if you are interested in a quote on removing your popcorn ceiling and adding a new look.